The CV Summit, held in the heart of the Crypto Valley, in Zug, Switzerland, has become one of the most important blockchain events in Switzerland. The summit’s 4th edition on March 27th will revolve around #BUIDL, focusing on the development of the technology instead of crypto speculations. The welcome address will be held by the President of the Swiss Confederation and Finance Minister Ueli Maurer, who is a strong advocate of the blockchain technology and the Blockchain Nation Switzerland. The 4th edition of the CV Summit starts on March 26th with an Open House networking afternoon and the CV Competition Top 10 pitches at the CV Lab’s newly inaugurated Liquid Lounge. The Top 3 projects will then present their blockchain solutions the next day at the official CV Summit. The CV Competition is a startup contest for blockchain projects. Each competition targets a specific industry: this year everything revolves around the real estate industry. The winner receives $100,000 in funding, expert coaching and complementary working space at CV Labs. On March 27th, the official CV Summit at the Theater Casino in Zug starts with opening remarks by the newly instated Mayor of the City of Zug, Karl Kobelt. The Mayor won’t be the only political representative at the summit: later in the day, the Swiss President Ueli Maurer will provide some updates on “Blockchain Nation Switzerland”. 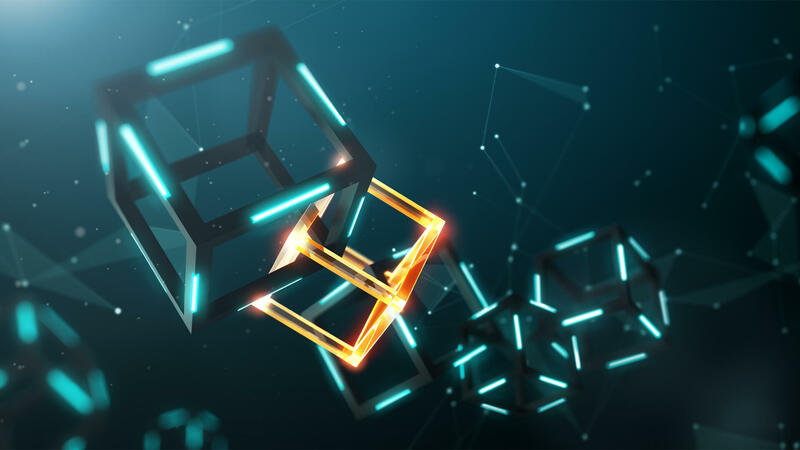 As the head of the Federal Department of Finance, Ueli Maurer is responsible for the new blockchain regulations expected in the next weeks. Throughout the day, experienced industry leaders, innovators and entrepreneurs will be sharing their insights and views on how to #BUIDL towards the crypto spring. Notable speakers include Jorge Sebastiao (CTO Ecosystem, Huawei Technologies), Nathan Kaiser (Chairperson, Cardano Foundation) and Niklas Nikolajsen (Co-CEO and Chairman, Bitcoin Suisse), with more to be announced soon. Companies represented at the summit include Alethena, Bitcoin Suisse, Cardano, Coreledger, Forctis.io, Bank Frick, Generali, IOHK, inacta, Kucoin, Lamassu, Lykke, Mt. Pelerin, PwC & strategy&, Swiss Economics, SwissRe Sygnum, ZBX and others. “Over the last two years, the CV Summit has become an integral part of the Crypto Valley community and the international blockchain scene. Themed #BUIDL towards Crypto Spring, this year’s edition shows how the industry is focusing on the further development of blockchain technology after the market correction in the so-called ‘Crypto Winter’”, says Mathias Ruch, Founder & CEO of CV VC and the CV Summit. Crypto slang for “to build” – meaning do develop the technology and the ecosystems. Derived from the term “to HODL”, which is slang in the cryptocurrency community for holding a cryptocurrency rather than selling it. It originated in 2013 in a post on a Bitcoin forum message board, when an apparently inebriated user wrote “I am hodling” (sic) instead of “holding”. With UK Government’s Making Tax Digital (MTD) deadline less than two months away, the race is on for UK organisations to understand the impact of MTD on their business. 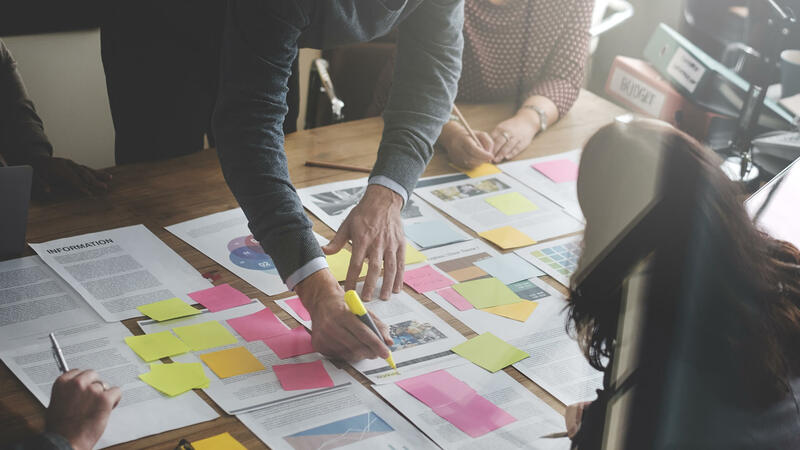 MTD could mean a significant shift in operations for some organisations, which means they need to act now in order to get themselves in order for the impending deadline. The Making Tax Digital programme will require UK businesses with annual turnovers above the VAT threshold of £85,000 to keep digital records for VAT and submit their returns digitally. 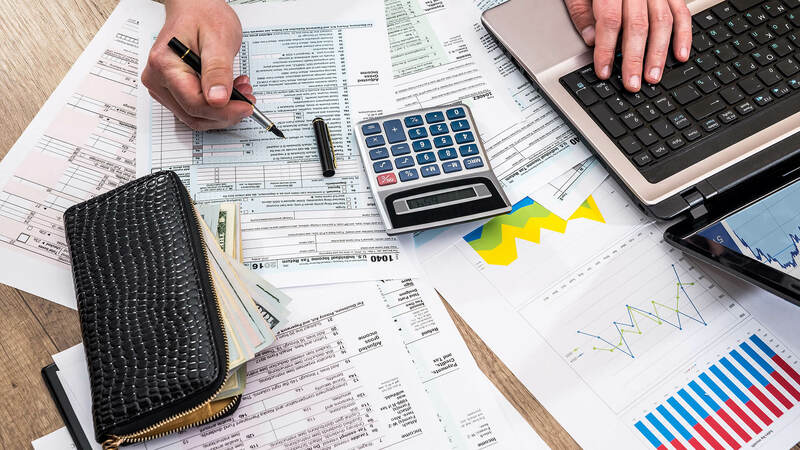 The points-based penalty system means business taxpayers gather points with each late submission of an MTD report, those with multiple businesses must submit tax reports for each of their businesses. 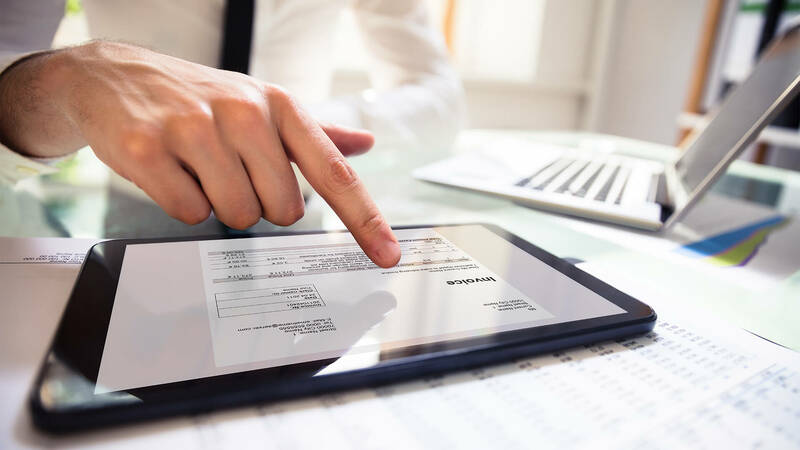 To ease the transition process, HMRC is allowing the use of ‘bridging software’ to support the digitised submission and account information retrieval from spreadsheets. However, those without it in place risk not being able to carry out their business as usual. While all respondents in Access Group’s survey use some type of electronic system for financial management, 96 percent of mid-market businesses still process a portion of their tax returns manually, for example performing off-system calculations, which could be problematic come 1st April if businesses fail to use bridging software to support the digital submission of their VAT returns. Which begs the question, why do some organisations still rely heavily on manually calculating? A large proportion of the finance professionals surveyed explained that they haven’t transitioned to 100 percent digital processes due to a lack of knowledge and training (26 percent) while others said it’s the fact that multiple legal entities are involved in VAT registration (23 percent). Manually entering VAT is inefficient and opens businesses up to human error. Under the new regulations, mid-market businesses could stand to lose not only money in fines, but credibility within their field. Putting off making the necessary technical changes to your business is no longer an option. Deploying new business software isn’t always an easy decision. Especially when there are multiple ways to ensure your organisation remains compliant with government regulations. Considerations need to be made for either full business software transformation or a single solution update i.e. bridging software, to support. Given the impending deadline, businesses must act now, to ensure they’ve put in place measures that abide by the regulations. 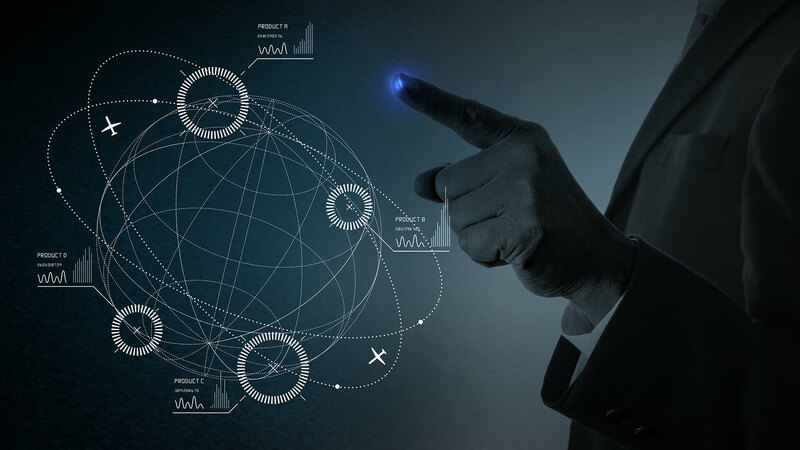 When deciding to begin a digital transformation project, particularly with digitising financial systems, choosing a partner that has the proper government accreditations is vital. Acronyms like ISO or IL are ones to look out for. 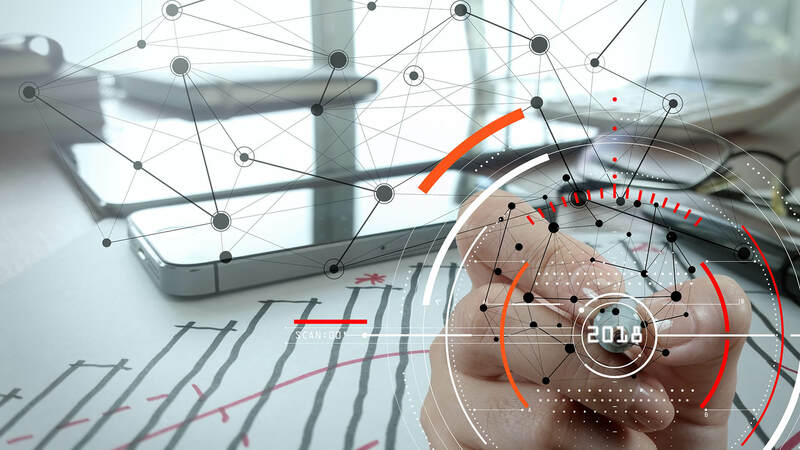 Digitising financial systems offers the business not only a more efficient, and free of human error way of working, but a more productive way as well. Entrusting admin-heavy tasks to intelligent software can free up time elsewhere to focus on innovation, business development and growth ambitions. Whilst it’s important that businesses’ financial systems are all set for the 1st of April deadline, to think about Making Tax Digital solely in terms of tax compliance would be to miss the point. It’s the perfect opportunity for UK business’ senior management teams to take a broader perspective – one that turns this regulatory burden to the business’ advantage. The organisations who act now are the ones who will see greater efficiency and productivity, driving both business growth and profitability. It’s good practice to update your operational processes at any moment in time, the MTD deadline provides a good excuse for companies to do just that. Given the pressures coming from Government organisations to digitise and the complexities that go into technology investment, mid-market businesses need to ensure their finance teams’ house is in order to remain compliant and avoid fines in the new era of digital tax. 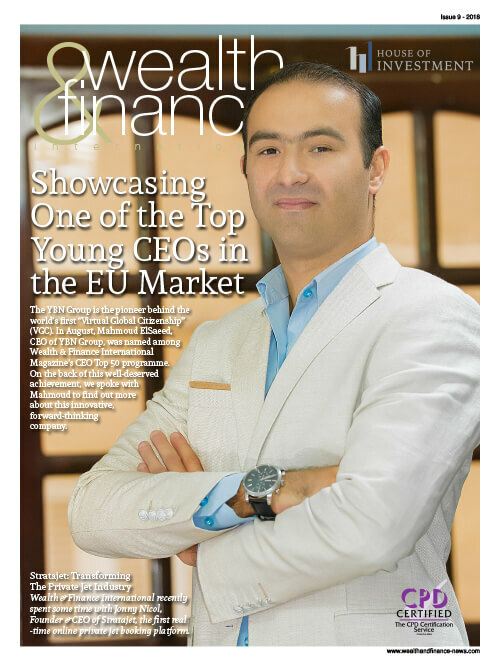 Welcome to the first issue of Wealth & Finance International Magazine for 2019. As always, we are dedicated to providing fund managers, institutional and private investors with the very latest industry news in the traditional and alternative investment landscapes. 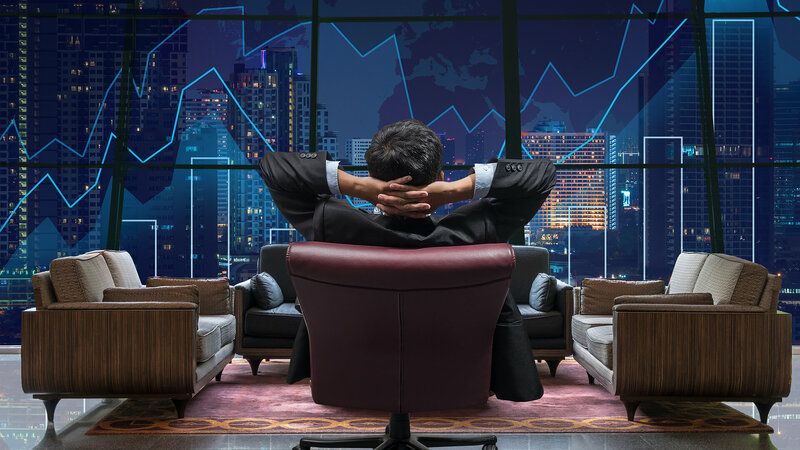 Though the New Year typically heralds in a new start and fresh beginnings, the wealth and finance industries look towards strengthening their position for the challenges that lie ahead. 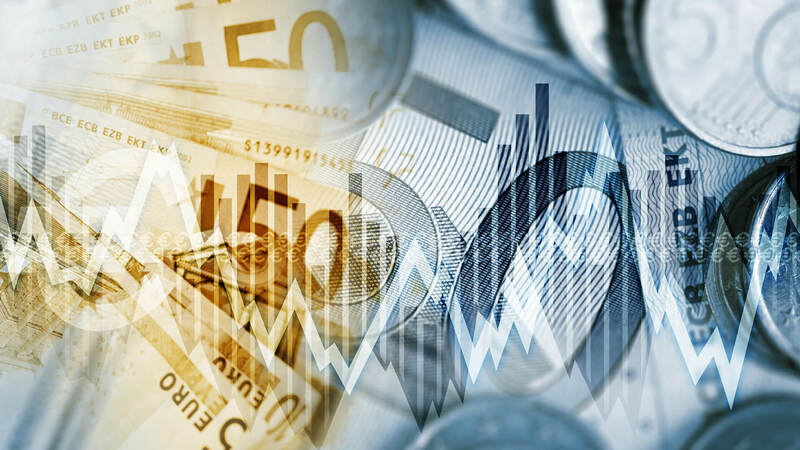 Continuing economic uncertainty partnered with Brexit’s looming presence are, in all likelihood, going to bring renewed volatility to the world’s stock markets. Yet, it’s not all bad news – not by any means. This issue covers inclusions from some of the most promising asset managers: those who are rallying despite this volatility and using their hard-earned knowledge and experience to protect their client’s investments. Firms like Mori Capital Management Ltd and Delta Asset Management. We spoke with Mori Capital Management’s Director and Portfolio Manager, Aziz Unan, to find out more about the firm’s extraordinary flagship Mori Eastern European Fund. Remarkably, the fund has delivered a net return of 732.1% (in euro terms) since its inception, significantly outperforming peers. Further in the issue, Stanislas de La Gastine, a Credit Analyst at Delta Asset Management, offered insight into their unique position as the only French alternative investment firm working in the Special Situations market. Their ESSF fund was recognised in Wealth & Finance’s annual Fund Awards as the Best Event Driven Open-End 5 Year Fund. 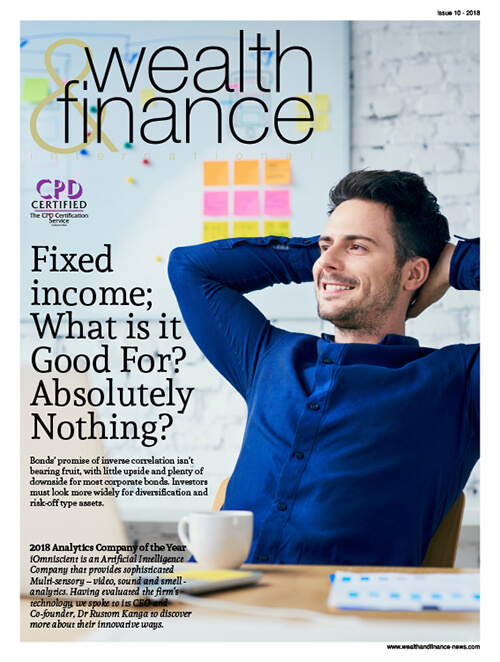 Here at Wealth & Finance we sincerely hope that you enjoy reading this month’s issue and look forward to hearing from you. Welcome to the twelfth issue of Wealth & Finance International Magazine, which is dedicated to providing fund managers, institutional and private investors with the very latest industry news in the traditional and alternative investment landscapes. This month we take a look and investment and wealth managers who have, simply, done things differently than their peers and competitors. In this challenging economic environment, doing things differently is certainly a risk – avoiding the well-worn path in favour of new pastures. Yet, for the firms included in this month’s issue, these risks have yielded strong results for their clients and company alike. First up is RPG Wealth, a firm that understands the important of independent, and personalised financial planning advice. Not content to sit still or rest on their laurels, RPG Wealth’s ethos lies in continual improvement and client-centric services. We spoke with John Sangster, RPG’s Head of Investment Research, to find out more about their work. Also in the issue, Ann Spickett of Total Accounting Kent Ltd writes about how technology has helped spearhead her company’s growth. 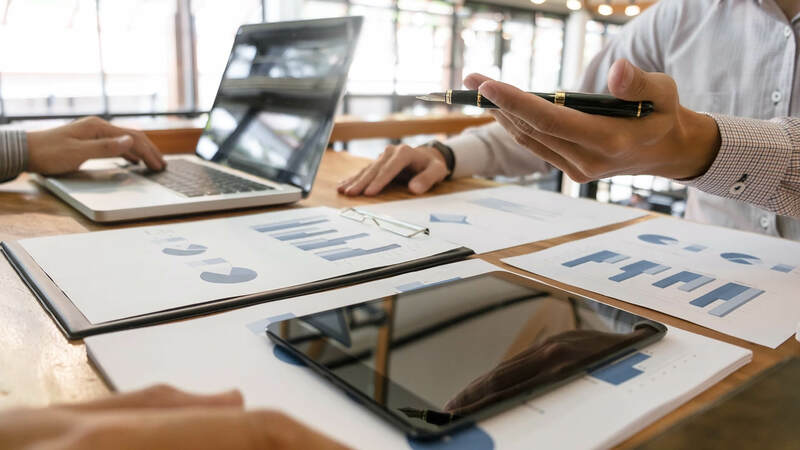 Equally, as accountancy experts, they are well-placed to make sure that their clients remain up-to-date on incoming regulation changes, as well as guiding businesses to a more secure financial future. Finally, we spoke with Steve Dabbah, Principal of Bedrock Advisers LLC in New York. Named as the ‘Best Commodity Trading Adviser’ in Wealth & Finance International’s Alternative Investment programme, we were eager to find out more about their best in class investment management solutions. 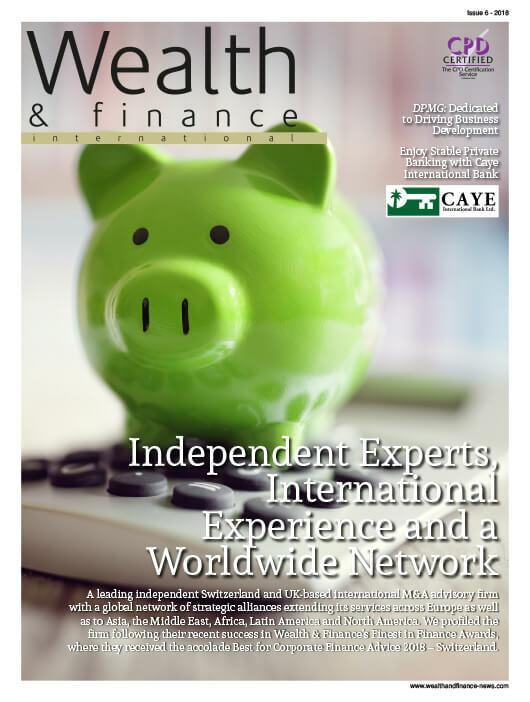 Welcome to the eleventh issue of Wealth & Finance International Magazine, which is dedicated to providing fund managers, institutional and private investors with the very latest industry news in the traditional and alternative investment landscapes. 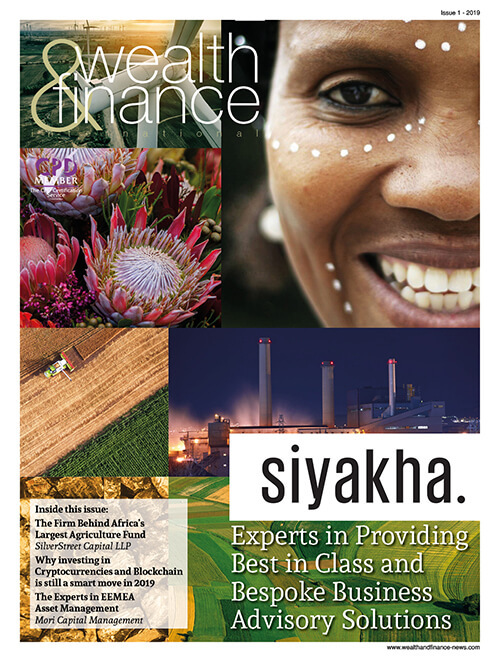 This month we have a keen focus on wealth management firms from all corners of the globe. October proved a challenging and incredibly volatile month for stocks on the back of an otherwise stable third quarter, though markets have – for the most part – have since recovered. Regardless of what the rest of the month holds in store, we wanted to celebrate the work of wealth managers worldwide who have achieved exceptional results for their clients, despite difficulty and uncertainty. First up is O’Connor Portfolio Management who have differentiated themselves through a focus on risk management and compound interest, avoiding mutual funds and annuities – the usual tools in a wealth manager’s arsenal. We spoke with Catherine O’Connor, an Accredited Portfolio Management Adviser, to find out more about her company’s unique approach to wealth and asset management. Also in the issue, we spoke to Darren McMahon, Partner of DLM Wealth Management. Named the ‘Most Innovative Financial Advisory Firm in the United Kingdom’ in Wealth & Finance’s Winners Review programme, we were eager to see how they have adapted to the changing role of ‘The Client’ – who, over the last few years, have become active participants and partners of their investment choices. April 2018 was the deadline by which large UK firms (those with more than 250 people in their employ) had to publish their pay data. The government deadline was set in order to explore whether the gender pay gap was still a prevailing issue, and if it was, how badly skewed the pay rates were between men and women. The British government requested pay data to be published by 4th April 2018. The results can be accessed here. Though it came as no surprise that the pay gap was still prevalent, the sheer scale of difference between men and women’s pay across businesses was quite alarming. The Independent reported on Ryanair’s revelation that women are paid 67% less in their company for example. Comparatively, law firms didn’t reflect too badly in their pay data, but there is indeed still a gap. A law firm in South Yorkshire reported that the women in their workplace earned a 15.9% less median hourly rate compared to their male counterparts. However, a London-based law firm saw their women’s median hourly rate at 37.4% lower than men’s. 2018 saw the largest international survey of women in law, with The Law Society receiving responses from 7,781 people. The study found that while 60% were aware of a pay gap problem in their workplace, only 16% reported seeing anything being actively done about it. 74% of men said there was progress regarding the difference in pay between the genders, but only 48% of women agreed with that statement. Why is there a gap in gender pay? What factor, or factors, are contributing to the gender pay gap? Is it a difference in bonuses, or are higher job positions less readily available for women? Women received a median bonus pay that was 20% lower than their male co-workers, according to data published by the previously referenced South Yorkshire law firm. The London-based firm noted a 40% lower median bonus pay for women compared to men. It clear that bonuses are also suffering from the same gender discrimination as standard wages. Furthermore, in terms of job roles, The Law Society’s survey showed 49% of law workers believe that an unacceptable work/life balance is needed to reach senior roles and is to blame for the gender pay gap, so it is feasible that starting a family is deemed a disadvantage for women. There’s a difference in view between men and women starting a family, says The Balance Careers, with men being regarded favourably when starting a family. But for a woman, having children brings an unfair stigma of unreliability, that they may put their family first. This can cause discrimination when aiming for higher roles within the firm, such as partner positions. Sadly, for women who attain the status of partner in a law firm, the pay gap remains. In fact, according to The Financial Times, female partners in London-based law firms earn on average 24% less compensation than men. 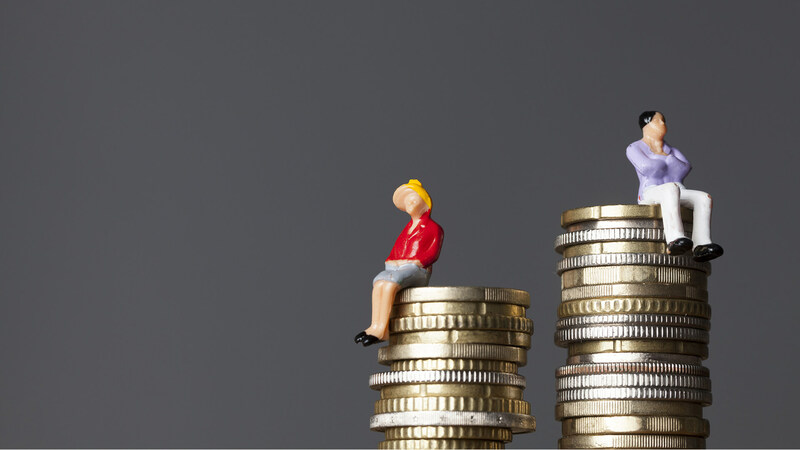 34% of women earn less than £250,000, where 15% of men earn less than £250,000. • Better, balanced paternity leave — allowing fathers to take paternity leave, or having a shared parental leave, would allow mothers to return to work earlier. • Childcare support — childcare is expensive! Support for childcare expenses would help both men and women in the workplace. • Allowing parents to work from home — the ability to work from home while raising a family would open up additional opportunities for women to balance both a career and a family. • A pay raise for female workers — a simple solution, but a pay raise for women can quickly equalise the pay rate between men and women. Welcome to the ninth issue of Wealth & Finance International Magazine, which is dedicated to providing fund managers, institutional and private investors with the very latest industry news in the traditional and alternative investment landscapes. Disruption and innovation define the modern investment landscape, as firms look to step away from the tried and tested waters of the traditional and onto new lands. 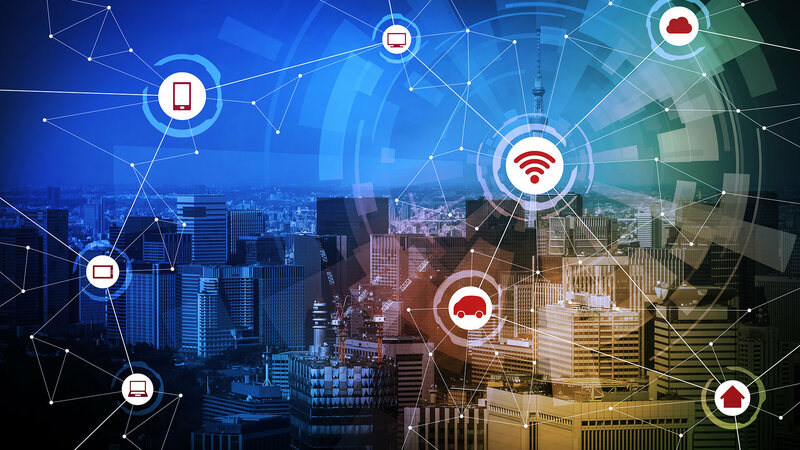 Global institutions are adopting the latest technological advancements to give them an edge over their peers and competitors or adapting strategies to thrive despite market volatility. The Tycuda Group, one of Canada’s leading investment establishments, very much fits this mould, believing that unpredictable market conditions can be overcome with flexibility and experience. We spoke with the firm’s Portfolio Manager, Miles Clyne, to find out more. As part of the cover story for this month’s issue, we spoke to CEO Mahmoud ElSaeed. His company, The YBN Group, are the pioneers behind the world’s first “Virtual Global Citizenship”, which aims to reimagine and reinvigorate investment advisory services to allow his clients to attain true financial freedom. We interviewed the man behind the business to find out how his leadership style helps drive the company’s lofty goals. Finally, Wealth & Finance International was offered the opportunity to experience one of Stratajet’s flights first-hand as we interviewed the firm’s CEO, Jonny Nicol. Stratajet is the world’s first real-time online private jet booking platform, helping to revive an industry that has traditionally struggled to attract new audiences. Nicol offers a remarkable insight into how he challenges the conventions of this exclusive market. 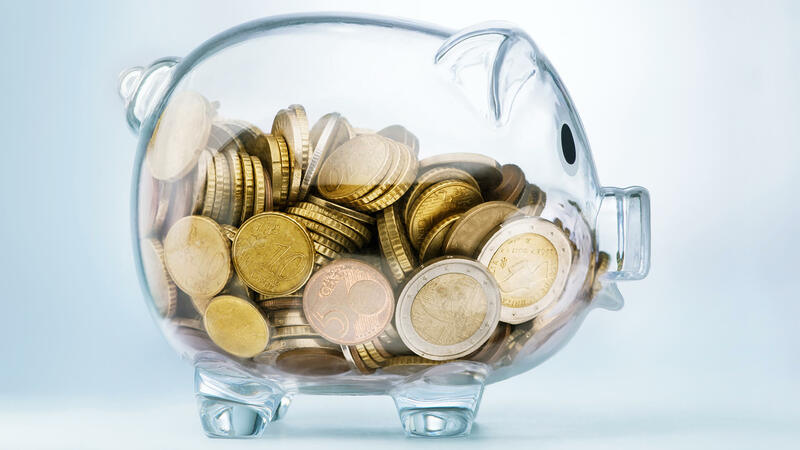 More than three out of four (78%) financial advisers expect the number of retail investors seeking help for IHT planning to increase over the next three years, according to new research from TIME Investments, which specialises in tax efficient investment solutions. 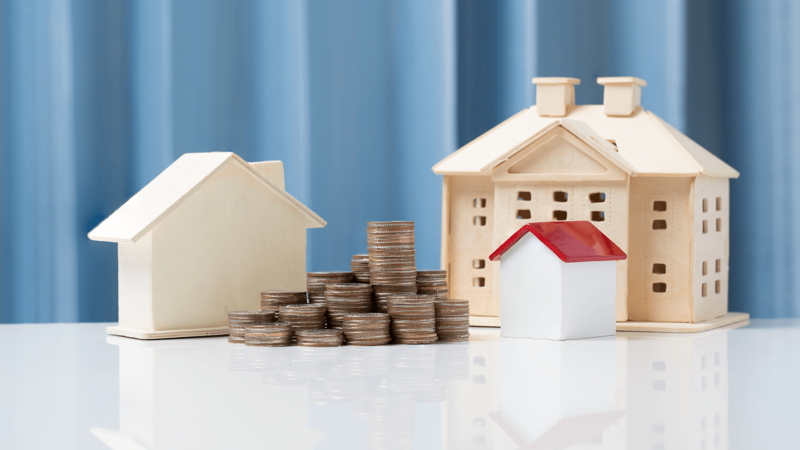 The findings come as IHT receipts hit a record £5.2 billion in 2017-18 despite the introduction of an additional nil-rate band. Six out of ten (63%) advisers also predict an increase in the number of IHT products and investment solutions to be launched in the UK. However, whilst this will offer more choice to investors, it also comes with a health warning – 88% of advisers questioned are concerned that new products will be launched by firms that don’t have the appropriate track record and/or expertise. Two thirds of advisers predict an increase in the use of Business Relief (formerly known as Business Property Relief) over the next three years to help people reduce their IHT liabilities. 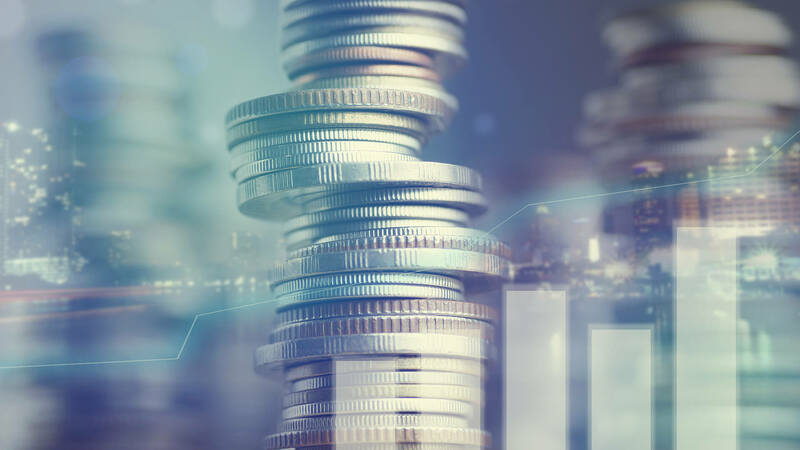 To encourage investors to support UK businesses, the Government allows shares held in qualifying companies that are not listed on any stock exchange and some of those listed on AIM to qualify for Business Relief. This means that once owned for two years, the shares no longer count towards the taxable part of an inheritable estate and are free from inheritance tax at point of death. The accessibility of Business Relief investments and the range of investment opportunities available help to provide flexibility in IHT planning. Three quarters of advisers felt that the increasing use of Power of Attorney due to rising dementia rates would contribute to the growth in the use of these flexible IHT solutions. Not Just Your Accountants, But an Extension to Your Business! 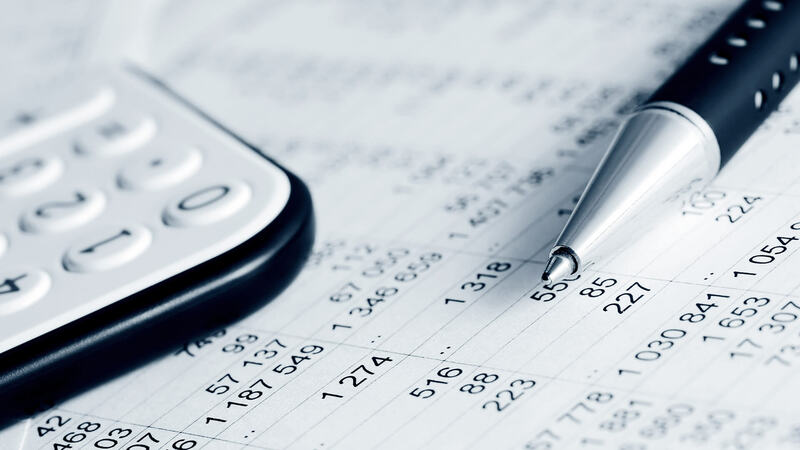 Pros Assist consists of a gifted team of qualified practicing members of the Institute of Financial Accountants, notably headed by the Director and Senior Financial Accountant, Alom Rouf. We profiled the firm and Alom to discover more about the innovative services that they provide to their clients. With over 15 years of experience in private practice, advising sole traders and partnership clients alike, Alom leads the Pros Assist team in offering clients expert advice on a diverse range of business support, including guidance on business planning and funding, advising on project viability, as well as all matters relating to taxation and profit. With such a diverse team, it enables Pros Assist to provide their clients with selection of specialist services which include; SME business advice, personal & corporate tax planning, financial analysis, company incorporation, bookkeeping & accounting and company secretarial & treasury to name just a few. 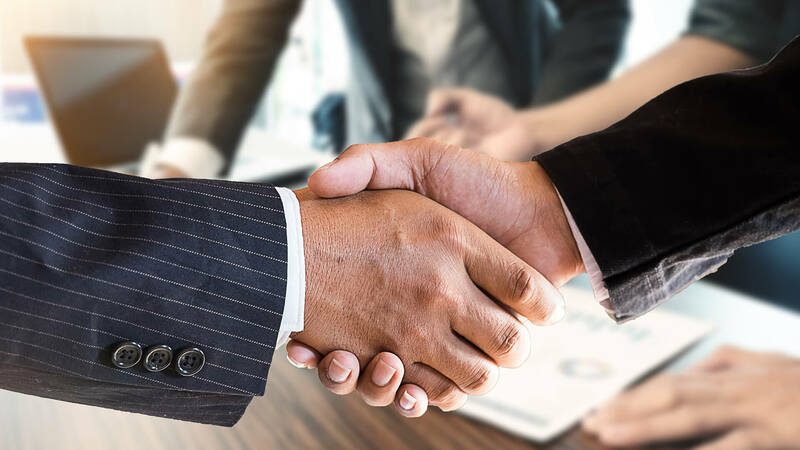 Throughout the years, Alom has gained a vast amount of experience in evaluating sole trader and partnership clients, to assess whether they would be better off incorporating. In addition to this, he advises clients on how to extract profits in the most tax efficient way. Also, Alom provides clients with a diverse range of business support, advising on project viability, business planning and funding. As the face of Pros Assist, Alom is a very professional, friendly, and approachable accountant. The team pride themselves in being dedicated to their clients, ensuring all professional needs are taken care of to the highest standard. All members of staff are highly qualified with up-to-date training, as well as regulated by the Institute of Financial Accountants; to ensure that clients can be rest assured that they are in good hands. texts, and even social media. The teams mobile contact details are made available to the clients ensuring the highest level of care 24/7. • Reliability: All our staff are qualified and professionally trained with several years of experience. • Affordability: We work on a Fixed Fee basis, so what we quote you in the beginning is exactly what we charge you in the end. Pros Assist specialise in business start-ups and looking after owner managed businesses. The firm offers all levels of financial assistance – whether you are looking to form your own company and don’t know where to begin, or you have some experience and want to make some changes, or if you simply require an all-round accountant to deal with all your business affairs. 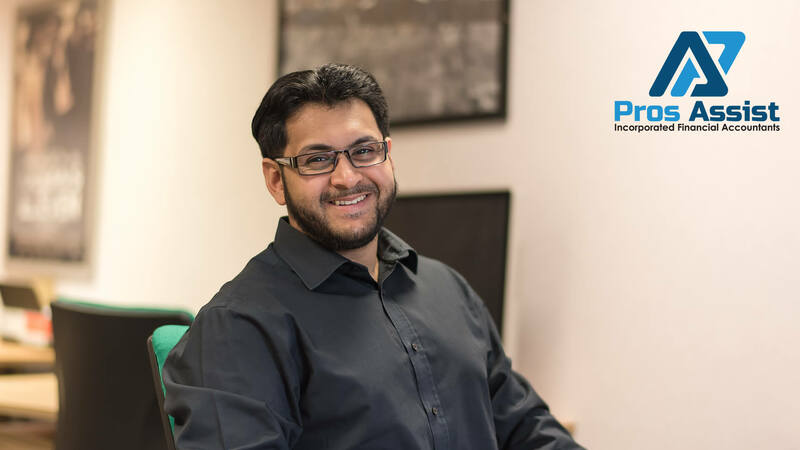 Looking ahead to what the future holds for the firm, Alom and the team at Pros Assist will continue to provide their award-winning excellent advice and guidance to their clients, helping them to get their business off the ground and established in the industry. Simply put, capital is another word used for any initial funds that are invested. Companies who need to raise funds to meet a set goal can choose to issue corporate bonds that investors can then buy. The money raised from the investment is held for an agreed number of years. At the end — also known as bond maturity — the investor receives the money they invested plus their guaranteed interest which was agreed at the start. The government also offers government bonds or ‘gilts’ which work in a similar way to corporate bonds and are used to fund borrowing. This is the tax that is paid on profit that is made on certain types of investment — your ‘capital gain’. You may not need to pay capital gains tax — it depends on the amount of profit you make and whether you use the profit to buy new shares. More information can be found on the GOV.UK website. The process of investing across multiple areas and not just focusing on one is called diversification. For example, you can diversify your investment across a range of investment types — such as shares or bonds, for example — as well as between industries, currencies and countries. Diversification of your investments could help you to manage the risk and reduces the impact of market uncertainty. The Financial Times Stock Exchange (FTSE) is used to monitor how companies or indices trading on the London Stock Exchange are performing. A number of lists are available, with each showing the fluctuations in share prices over time. Individual Savings Accounts — or ISAs — offer a tax-free or tax-efficient option in which to save. There are two main types of ISAs: cash ISAs and stocks and shares ISAs. • Cash ISAs — like a typical savings account, cash ISAs do not require you to pay tax on any interest that is generated. 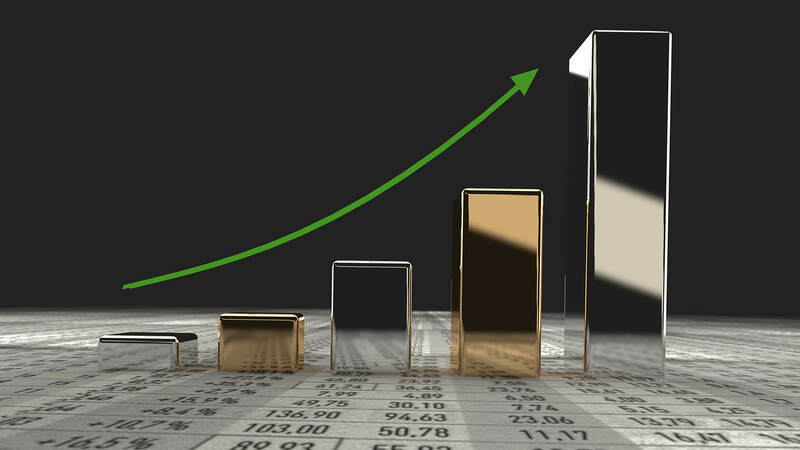 • Stocks & shares ISAs — with a stocks and shares ISA, the money is invested with the aim of growing the fund over time. You do not pay tax on dividends. This term describes the amount of money in which goods and services increases over a timeframe. It is measured as an annual percentage change and can impact interest rates and share prices. Pensions are set up to help you put money aside for your latter years. The money you place in the pension fund is invested with the aim of growing it by the time you retire. • Workplace pensions — this type of pension is arranged through your employer. Usually, you’ll contribute an amount each month, with your employer also contributing and the government contributing tax relief too. • Personal pensions — a pension you arrange yourself, which you can contribute to whenever you want. • State pensions — a state pension is the amount you receive from the government once you reach State Pension age. Details on how much this is and eligibility can be found at the GOV.UK website. Investors can buy stocks in a company. However, these stocks can be broken down into a number of shares, which can also be purchased by investors. Because of this similarity, the two terms are often interchangeable. The aim with stocks and shares is to sell them on for a greater price than you originally paid. Usually, stock and shareholders receive a proportion of the company’s profits on an annual or bi-annual basis in the form of dividends. This term describes the performance of your investment both now and in the future. For example, if you received £5 in interest from £100 placed in a Cash ISA, your total yield would be 5% which is equal to £5. I would rather see the SEC make a methodical decision, with thoughtful guidelines, to approve a cryptocurrency ETF than a rash decision to reject one. And though the agency may not reach a final decision until next year on the proposed SolidX Bitcoin Shares ETF, I think the agency will eventually approve it. The proposal (requiring a minimum investment of 25 bitcoins, or $165,000, assuming a BTC price of $6,500) seems to meet the SEC’s criteria — on valuation, liquidity, fraud protection/custody, and potential manipulation. I think the US investment community will not rest until they satisfy SEC criteria for a bitcoin ETF. Approval would represent another milestone in the validation of cryptocurrencies. This bodes well for the global financial system, because cryptocurrency promises to create financial savings and societal benefits — by streamlining how the world transacts for goods and services, updates mutual ledgers, executes contracts, and accesses records. Demand is mounting for a larger, more comprehensive U.S. and global regulatory framework that protects consumers and nurtures innovation. Those institutional investors who are assessing the cryptocurrency risk/reward proposition are also awaiting regulatory guidance and protections to honor their fiduciary duties. How, if at all, for example, will exchanges be required to implement systems and procedures to prevent hacks and protect or compensate investors from them? 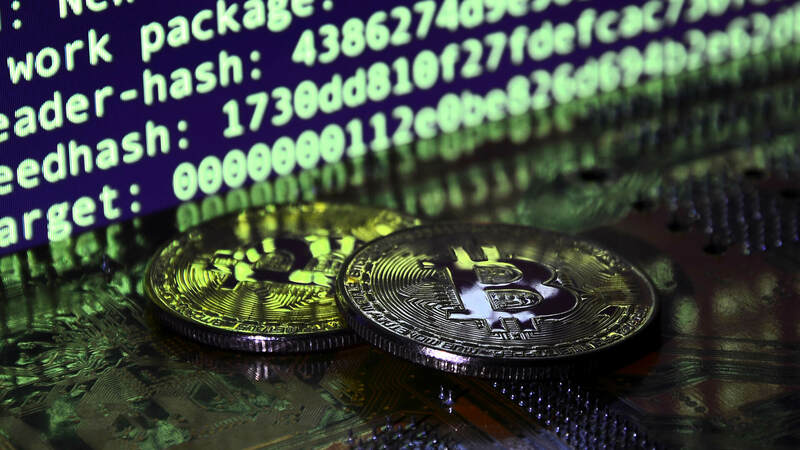 Effective cryptocurrency regulation requires a nuanced set of rules, a sophisticated arsenal of policing tools, sound protocols, and well-trained professionals. I think U.S. regulators will eventually get it right. And if institutions become more confident that regulations can help them meet fiduciary duties, even small cryptocurrency allocations from reputable organizations could unleash a new wave of investment. Bitcoin and other cryptocurrencies cannot yet process tens of thousands of transactions per second. I think developers working on technology — such as Plasma, built on Ethereum, and the Lightning Network, for bitcoin and other cryptocurrencies — will sooner or later bring leading cryptocurrencies to scale. 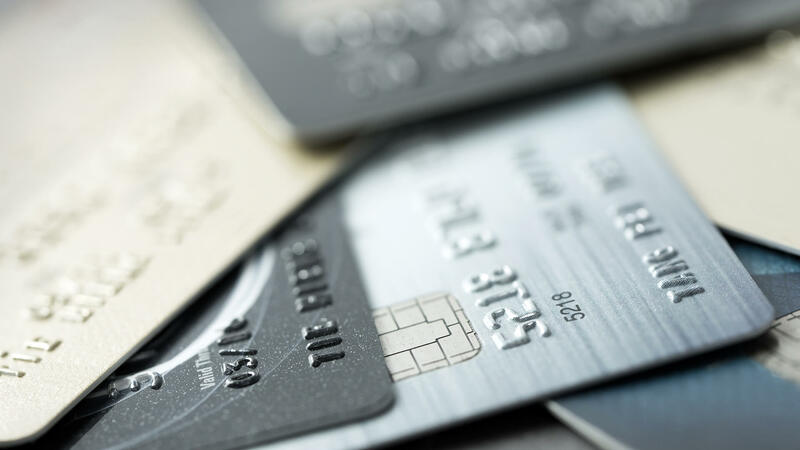 This could unleash an explosion of new applications, allowing cryptocurrency to integrate with debit and credit payment systems, developing new efficiencies in commerce — whether B2B, B2C, or B2G — in ways we can’t fully anticipate. 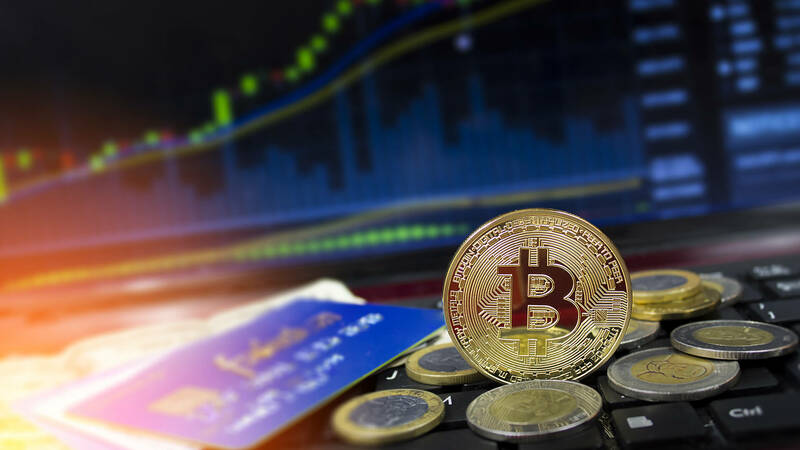 Cryptocurrency adoption as a payment method could grow fastest in emerging markets. Many consumers and entrepreneurs in such regions have a strong incentive to transact in cryptocurrency — either because their country’s current banking payment system is inefficient and unreliable, and/or they are one of the world’s 1.7 billion “unbanked.” Two-thirds of the unbanked own a mobile phone, which could help them use cryptocurrency to transact, and access other blockchain-based financial services. ● Eastern Europe (Russia, Ukraine). Demographics will also likely drive cryptocurrency adoption in the Developing World, home to 90% of the global population under age 30. High volatility is inherent in the investment value of this nascent technology, due to factors including technological setbacks and breakthroughs, the impact of pundits, the uneven pace of adoption, and regulatory uncertainty. Bitcoin, for example, generated a four-year annualized return as of January 31st 2018 up 393.8%, a one-year 2017 performance up 1,318% — and year-to-date, a return of down over 50%. Bitcoin has previously experienced even larger percentage drops before resuming an upward trajectory. In my view, bitcoin and other cryptocurrencies will experience many more bubbles and bursts, in part, fueled by speculators. But the bursting of an investment bubble may signal both a crash and the dawn of a new era. While irrational investments in internet technology in the 1990’s fueled the dotcom bust, some well-run companies survived and led the next phase of the internet revolution. Similarly, I believe a small group of cryptocurrencies and other blockchain applications, including bitcoin, will become integrated into our daily lives, both behind the scenes and in daily commerce. Although “irrational exuberance” will continue to impact the price of cryptocurrencies, this disruptive technology represents not only the future of money, but of how the world will do business. Javed Khattak is, among many roles, the Chief Financial Officer for Humaniq, a fintech firm that aims to be the herald of the next generation of financial services. In July, Javed was named as the CFO of the Year for 2018 by Wealth & Finance International Magazine. Following this, we spoke with Javed to find out how he achieved the extraordinary success he celebrates today. 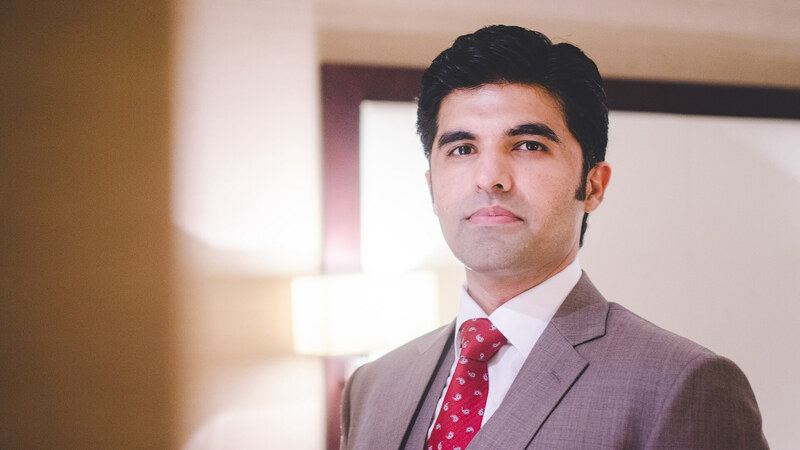 Javed Khattak is a qualified actuary, as a Fellow of the Institute of Actuaries in the UK, and an expert in finance, strategy, risk, investments, technology and start-ups. As a FTSE100 advisor, he is a recognised expert and a strong proponent of blockchain technologies, seeing them as the inevitable next step in the corporate and professional landscapes. Perhaps a crucial element to Javed’s work is his advocacy for blockchain technologies, believing them to be the ‘next big thing’; a revolutionary development for innumerable sectors and fields. “Humaniq, and many other innovative ventures, are able to come into existence thanks to this technology. 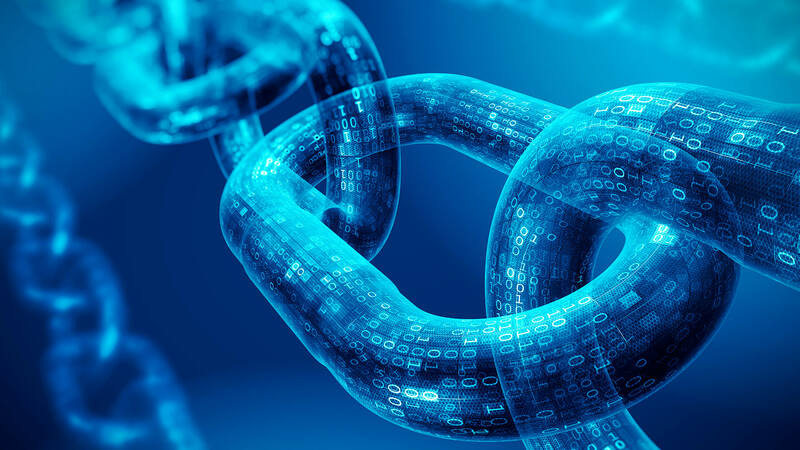 This is in two ways; blockchain first made the initial funding for these companies possible through ICO’s, and alongside blockchain also provides these ventures with the tools and technology to execute their novel ideas and make them a reality.” Through effective utilisation of the technology, Javed sees limitless possibilities with most sectors benefitting from it, including technology, financial services and real estate industries, alongside transforming supply chains and empowering end users (e.g. through control of their personal data). Javed continues, bringing the interview to an optimistic close; “I am a firm believer in giving back to society – this is why I was initially attracted to Humaniq and precisely why I started Zisk Properties and JKCoach. The financial services industry is in the throes of a new era. In January, the biggest overhaul of its operations in the past decade was implemented – the second Markets in Financial Instruments Directive, or MiFID II for short. MiFID II had those in the industry working overtime last Christmas as they scrambled to become compliant for deadline day, but major Exchanges failing to implement the regulation on time, postponement of dark pool caps and reigning confusion meant that, for many, January 3 failed to have the impact that was expected. In the six or so months that followed, the industry has continued to adapt to this shifting landscape and new elements of the regulation have trickled in. Below, Matt Smith, CEO of compliance tech and data analytics firm SteelEye, explains what’s been happening on the ground since ‘the day of the MiFID’ and what we can expect to see in the future. Firms’ best execution requirements under MiFID II are far from over. Regulators have consistently cited execution quality as fundamental to the integrity of the market and, accordingly, MiFID II’s best execution requirements are extensive. 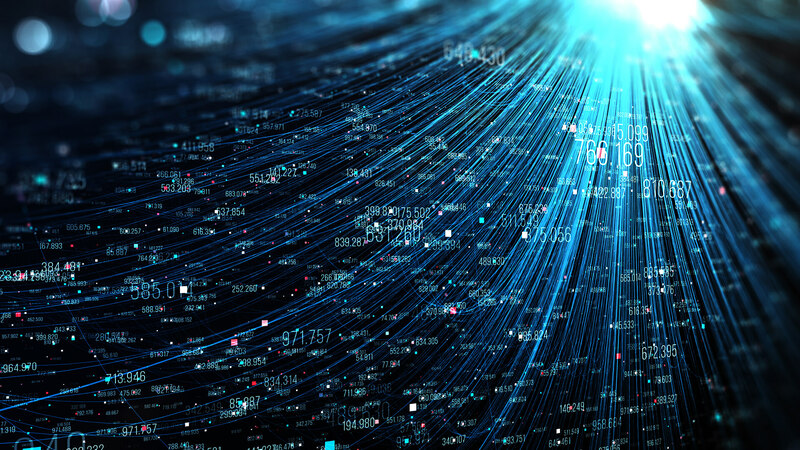 The first of these, RTS28, was implemented on April 30 and required firms to publicly disclose their order routing practices for clients across all asset classes in human and machine-readable reports. This was followed soon after by RTS27, which hit firms on June 30 and requires quarterly best execution reports detailing the ‘sufficient steps’ that have been taken to achieve the best possible results for clients when executing orders. This required the capturing of a remarkable amount of data, a process aimed at increasing transparency and accountability in the industry. 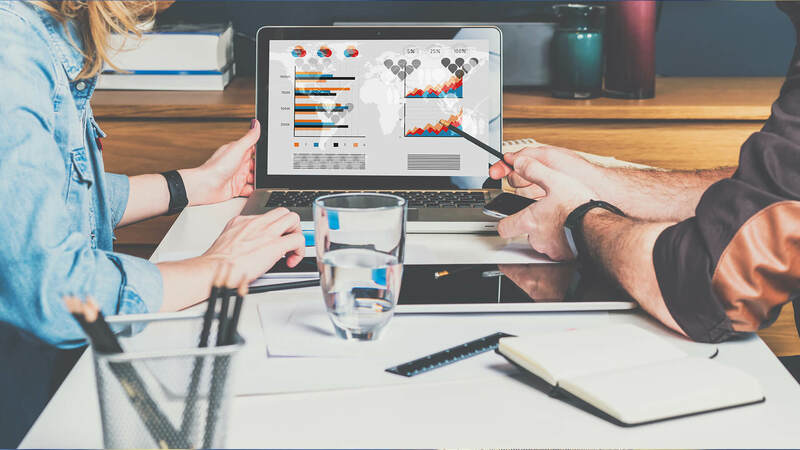 But experts believe it will still be a while longer before the data generated under these reports is sufficiently detailed and consistent enough to have a significant impact on trading behaviour. There have also been problems among firms unsure of what exactly to include in the reports, with many calling for regulators to issue more detailed guidance. Perhaps the next quarterly disclosures under RTS27, due in September, will make bigger waves. MiFID II’s unbundling rules have, so far, been the most controversial. Under these new rules, firms need to make explicit payments for investment research in order to prove that they are not being induced to trade – meaning free research is no more. This created a number of hurdles for buy and sell-side firms, which set about creating frameworks to evaluate the materials they produce, distribute and consume in order to understand whether or not it now needs to be paid for under MiFID II. Currently the impact on the market is unclear, but there has been early evidence of an increase in M&A activity as providers tie up their services to expand sector coverage, and the more frequent use of tech to maximise existing research platforms. The FCA has already announced a review into the application of these new unbundling rules. This is somewhat unsurprising, given that firms were issued with no guidance on how they should negotiate and price their research under MiFID II. One of the major focuses of MiFID II was to force equity trading back onto public stock markets by reducing the use of dark pools in favour of lit book trading venues. Early evidence suggests that the share of trading on lit exchanges hasn’t risen since January, still comprising around 50% of all trades. But, price swings have fallen, as have trading volumes in dark pools. Additionally, the LSE’s total lit order book ADV rose to £6.2bn in the first quarter of 2018 – the exchange’s highest quarterly performance in a decade. This indicates that MiFID II’s impact on transparency has been mixed. While the overall proportion of trades executed in the dark versus lit venues hasn’t changed significantly, the proportion of LIS trades is higher. It’s also necessary to factor in the delayed implementation of these new dark pool caps, which were postponed from January to March – meaning their full impact may not yet have been shown, and Q1 summaries will not necessarily illustrate what is currently happening on the ground. We may have to wait longer still to see whether the industry has seen the light, or will continue to operate in the dark. Despite the January rush, systematic internalisers (SIs) haven’t yet been fully implemented under MiFID II. 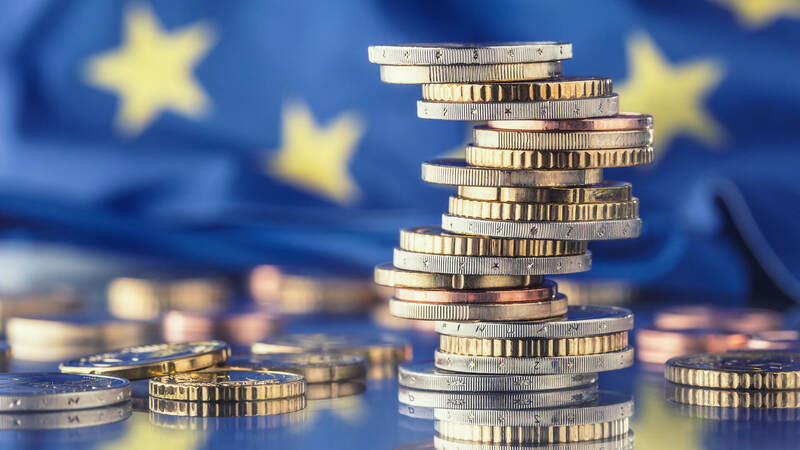 This was due to come in September, by which point any firm labelled as an SI would have to comply with their new obligations, but ESMA announced in July a further delay to the new rules. Now, derivatives have until March to comply with the requirements and ESMA will not publish its calculations for derivatives until February due to ongoing issues with incomplete and inadequate data. This isn’t a let-off for the entire industry, though; instead of publishing all the rules, ESMA is focusing on completeness for a select number of asset classes and delaying others. Equity, equity-like and bond instruments will still have to be compliant by September 1. If MiFID II has proven anything, it’s that compliance is, more than ever, an evolving process not a one-off event. In the coming weeks, months and years MiFID II will remain an ongoing challenge for firms and strategic and operational flexibility will be needed if they are to flourish. MiFID II absolutely has the potential to have a significant and positive impact on the industry. But collaborative partnerships, innovation and further guidance from regulators are critical to this impact being realised. In July a formal complaint was lodged against the FCA for its silence on MiFID II, and undoubtedly for those firms making the right efforts to comply with the new rules this lack of clarity is frustrating. There is hope in the industry that, once clarification is provided and regulation requirements are gradually met, focus will shift from merely complying, to embracing the opportunities provided by MiFID II’s new framework. As the dust settles and uncertainty fades, a more transparent, competitive and trustworthy industry should, hopefully, emerge. £115.9 million went towards direct mail marketing and online platforms in the UK automotive industry in 2016. That’s according to figures from Google’s Car Purchasing UK Report from April 2017. Of course, the car industry has a massive budget at their disposal when it comes to marketing, one that not all industries can match. Plus, with so many people vying for a digital presence, the cost of online marketing is rising. Is it really worth the cost? Audi servicing plan providers, Vindis, explores the matter across many sectors. Car shoppers are heading more and more to the online world than ever before, according to Google’s Drive To Decide Report. Over 82% of the UK population aged 18 and over have access to the internet for personal reasons, 85% use smartphones, and 65% choose a smartphone as their preferred device to access the internet. These figures show that for car dealers to keep their head in the game, a digital transition is vital. The report also showed that 90% of car shoppers researched online before buying. 51% of buyers start their auto research online, with 41% of those using a search engine. To capture those shoppers beginning their research online, car dealers must think in terms of the customer’s micro moments of influence, which could include online display ads – one marketing method that currently occupies a significant proportion of car dealers’ marketing budgets. In fact, 11% of the total UK Digital Ad Spending Growth in 2017 was from the car industry, according to eMarketer, which puts the industry second only to retail. The automotive industry is forecast to see a further 9.5% increase in ad spending in 2018. But is online really impacted a buyer’s choices? 41% of shoppers who research online find their smartphone research ‘very valuable’. 60% said they were influenced by what they saw in the media, of which 22% were influenced by marketing promotions – proving online investment is working. But traditional methods of TV and radio still remain the most invested forms of marketing for the automotive sector. However, in the last past five years, it is digital that has made the biggest jump from fifth most popular method to third, seeing an increase of 10.6% in expenditure. Fashion retailers need to keep an eye on online investments, as the online world is strong for the fashion industry – ecommerce accounted for £16.2 billion in sales for the sector in 2017. This figure is expected to continue to grow by a huge 79% by 2022. 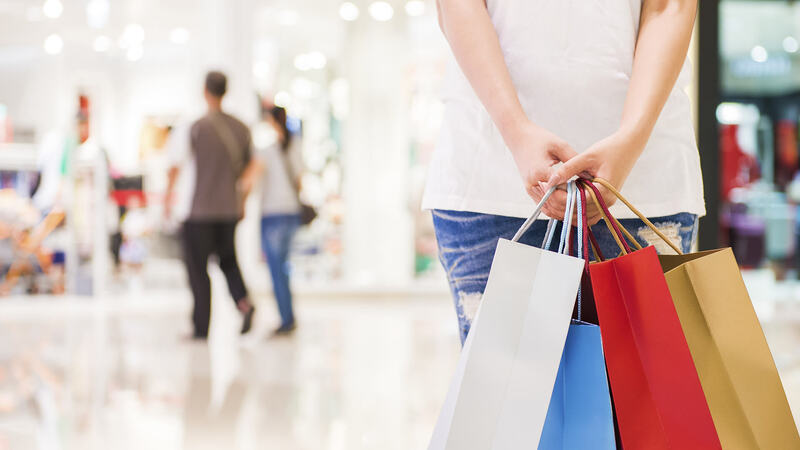 So where are fashion retailers investing their marketing budgets? Has online marketing become a priority? The British Retail Consortium stated that ecommerce made up nearly 75% of all purchases for December 2017. Online brands such as ASOS and Boohoo continue to embrace the online shopping phenomenon. ASOS experienced an 18% UK sales growth in the final four months of 2017, whilst Boohoo saw a 31% increase in sales throughout the same period. Brands like John Lewis, Next, and Marks and Spencer have set aside millions towards their online presence, in order to make the most of the rise of online shopping. John Lewis announced that 40% of its Christmas sales came from online shoppers, and whilst Next struggled to keep up with the sales growth of its competitors, it has announced it will invest £10 million into its online marketing and operations. People don’t enjoy the idea of wandering the high street anymore. Instead they like the idea of being able to conveniently shop from the comfort of their home, or via their smartphone devices whilst on the move. Influencers are becoming a big thing for fashion marketing too; PMYB Influencer Marketing Agency noted that 59% of marketers for the fashion world ramped up their spend for influencers last year. In fact, 75% of global fashion brands collaborate with social media influencers as part of their marketing strategy. More than a third of marketers believe influencer marketing to be more successful than traditional methods of advertising in 2017 – as 22% of customers are said to be acquired through influencer marketing. 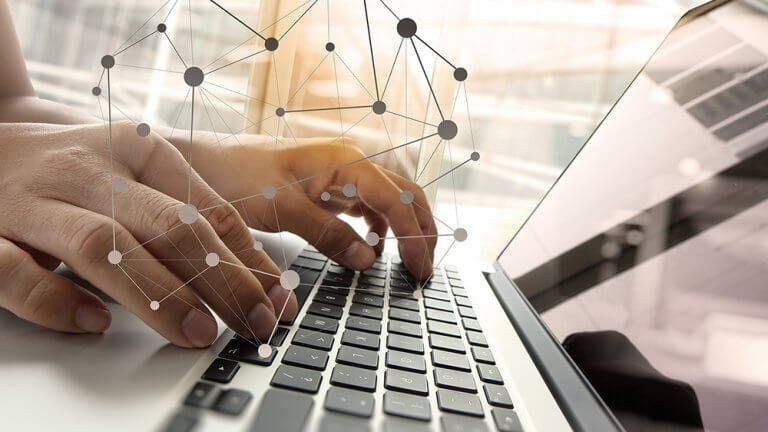 Comparison websites are an important part of picking utilities suppliers for customers, so gaining and retaining customers falls on those websites. With comparison websites spending millions on TV marketing campaigns that are watched by the masses, it has become vital for many utility suppliers to be listed on comparison websites and offer a very competitive price, in order to stay in the game. Compare the Market, MoneySupermarket, Confused.com, and Go Compare make up the largest comparison sites as well as being in the top 100 highest advertising spenders in the UK. Comparison sites can be the difference between a high rate of customer retention for one supplier and a high rate of customer acquisition for another. If you don’t beat your competitors, then what is to stop your existing and potential new customers choosing your competitors over you? One of the Big Six energy suppliers, British Gas, has changed its main focus from new customer to retaining customers. Whilst the company recognise that this approach to marketing will be a slower process to yield measurable results, they firmly believe that retention will in turn lead to acquisition. The Gas company hope that by marketing a wider range of tailored products and services to their existing customers, they will be able to improve customer retention. This priority change is reflected in British Gas’s decision to invest £100 million into their customer loyalty scheme, to reward those who stay with them. The utilities sector is incredibly competitive, so it is vital that companies invest in their existing customers before looking for new customers. Google’s Public Utilities Report in December 2017 showed how the utilities sector has strengthened online, with 40% of all searches occurring on mobile, and 45% of ad impressions delivered on mobile. As mobile usage continues to soar, companies need to consider content created specifically for mobile users as they account for a large proportion of the market now. Marketing in the healthcare industry is a far cry from any other sector in terms of restrictions. The same ROI methods that have been adopted by other sectors simply don’t work for the healthcare market. Despite nearly 74% of all healthcare marketing emails remaining unopened, you’ll be surprised to learn that email marketing is essential for the healthcare industry’s marketing strategy. Around 2.5 million people have email as their main communication method, and the number is rising. This means email marketing is targeting a large audience. For this reason, 62% of physicians and other healthcare providers prefer communication via email – and now that smartphone devices allow users to check their emails on their device, email marketing puts companies at the fingertips of their audience. With one in 20 Google searches being for health content, it’s definitely worth the investment of the healthcare industry to be online. This could be attributed to the fact that many people turn to a search engine for medical answer before calling the GP. In relation to this, Pew Research Center data shows 77% of all health enquiries begin at a search engine – and 72% of total internet users say they’ve looked online for health information within the past year. Furthermore, 52% of smartphone users have used their device to look up the medical information they require. Statistics estimate that marketing spend for online marketing accounts for 35% of the overall budget. And that’s without considering social media marketing. Whilst the healthcare industry is restricted to how they market their services and products, that doesn’t mean social media should be neglected. In fact, an effective social media campaign could be a crucial investment for organisations, with 41% of people choosing a healthcare provider based on their social media reputation! And the reason? The success of social campaigns is usually attributed to the fact audiences can engage with the content on familiar platforms. Online marketing is clearly vital for many sectors, particularly for fashion and car sales. With a clear increase in online demand in both sectors that is changing the purchase process, some game players could find themselves out of the game before it has even begun if they neglect digital. There’s a lot more to consider, particularly for utilities. Whilst TV and digital appear to remain the main sales driving forces, its more than just creating your own marketing campaign when comparison sites need to be considered. Without the correct marketing, advertising or listing on comparison sites, you could fall behind. The average firm in 2018 is set to put an estimated 41% of their marketing budget towards online strategies, and this is expected to rise to 45% by 2020, says webstrategies.com. Social media advertising investments is expected to represent 25% of total online spending and search engine banner ads are also expected to grow significantly too – all presumably as a result of more mobile and online usage. How do you view the investment? If mobile and online usage continues to grow year on year at the rate it has done in the past few years, we forecast the investment to be not only worthwhile but essential. Discover 5 tax entitlements you could be missing out on! Whether you’re a CIS or PAYE worker, you may be surprised at what expenses you can claim back and the money you can save in your pay packet each month. Not only can signing up to a professional membership help you move quicker up the career ladder – and get paid more – you may also be due money back on any fees. If you’re a member of a professional body like the Federation of Master Builders, The Chartered Institute of Building or National Federation of Builders for example and pay the subscription fees yourself, you can make a claim…worth 20 percent to a basic rate taxpayer. If you have not claimed previously, you may be able to make a claim for the last four years. HMRC usually make any adjustments needed through your tax code for the current tax year. If a claim is made after the end of the tax year, this will be repaid by way of a payable order or bank transfer. Many contractors are missing out on valuable tax relief due to their lack of knowledge around capital expenditure. This can have a significant impact on finances. If you’re a builder working under CIS, for anything you purchase for business use – such as equipment, machinery and vehicles – you’re eligible to claim capital expenses. You can claim an allowance of up to 100 percent in the year of purchase on certain items although cars are restricted to 18 percent per annum in most cases. Assets you owned before you started the business may also be claimed if you now use them for your business. Your tools; where would you be without them? If you have to purchase your own tools, you may be due a tax refund on their cost, as well as money back on the costs of maintenance and replacement. If you’re a PAYE worker, you can make a claim if the same or similar item is not available from your employer. Whereas if you’re a CIS worker, you can claim all tools as an expense. If you wear a compulsory branded uniform and/or protective clothing at work or on-site, you could be due a one-off rebate for the upkeep. This can be backdated to the last four tax years and received as a single payment, while any future claims will be paid in wages. Limits on claims vary by industry but the standard flat rate expense allowance for uniform maintenance is £60 for this tax year, meaning basic-rate taxpayers can claim £12 back and higher-rate payers £24. It only takes a couple of minutes online to check using an online calculator. By trade, you’re unlikely to be working from a fixed address every day. 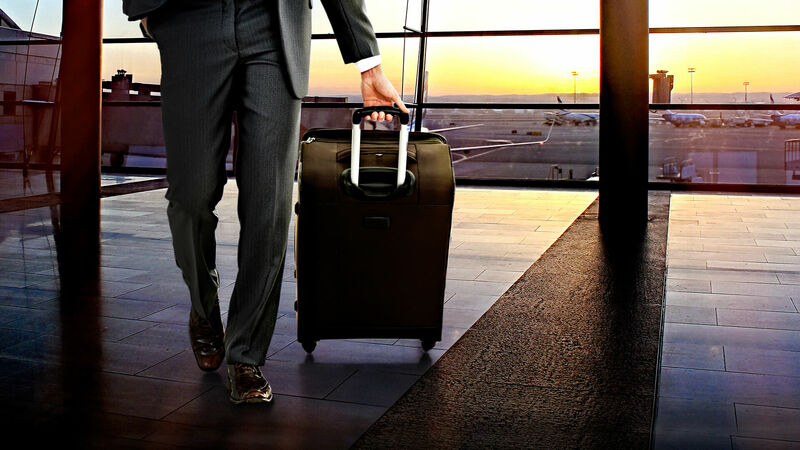 The cost of travelling between home and the site you’re assigned to may be claimed as an expense for tax purposes. A workplace is considered temporary if your contract is below 24 months. If your contract length is uncertain, the workplace will be seen as a temporary workplace until you have been there for 24 months, it would then be considered permanent. Be sure to keep any travel or fuel receipts to make an expense claim via your employer. Don’t fall victim to fraudsters who are sending fake emails and text messages promising tax rebates. Never hand out any personal or payment details to companies you haven’t approached personally before or to HMRC who will only ever contact you via post or your employer. Wealth & Finance INTL Magazine is dedicated to providing fund managers, institutional and private investors from around the globe with the very latest industry news from across both traditional and alternative investment sectors. Firstly, we cast a light to Allied Wallet who graces the front cover of this edition. Taking time out of hectic schedule, Dr. Andy Khawaja of Allied Wallet provides us with an insight into the company’s award-winning global online services following his recent success in Wealth & Finance’s Leaders in Finance Awards in which he was rightly awarded the title E-Commerce CEO of the Year. In this issue, we take a closer look at Pros Assist, a gifted team consisting of qualified practicing members of the Institute of Financial Accountants, notably headed by the Director and Senior Financial Accountant, Alom Rouf. Recently, we profiled both the firm and Alom to discover more about the innovative services that they provide to their clients. Also in this edition, we discover more about Eze Castle Integration who, for more than two decades, have been the premier provider of technology solutions to the financial and investment management industry. Recently, we profiled the firm and spoke to Dean Hill as we looked to discover more about their innovative ways, especially following their recent success in Wealth & Finance’s Global Excellence Awards where they were awarded title Best in Hedge Fund Technology Services. 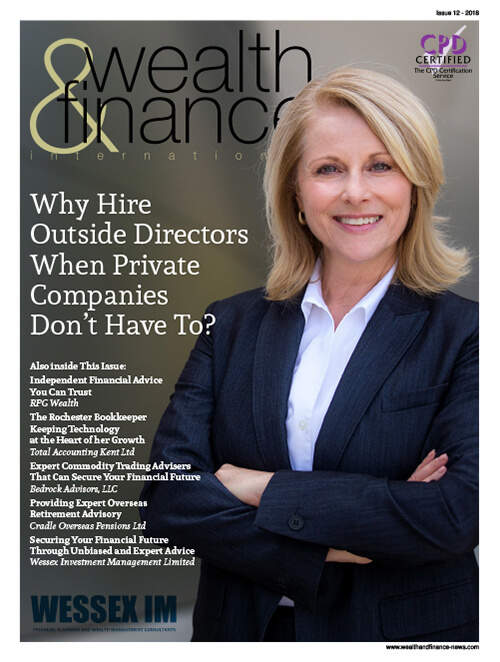 Wealth & Finance INTL Magazine is devoted to providing fund managers, institutional and private investors across the globe with the latest industry news across both traditional and alternative investment sectors. 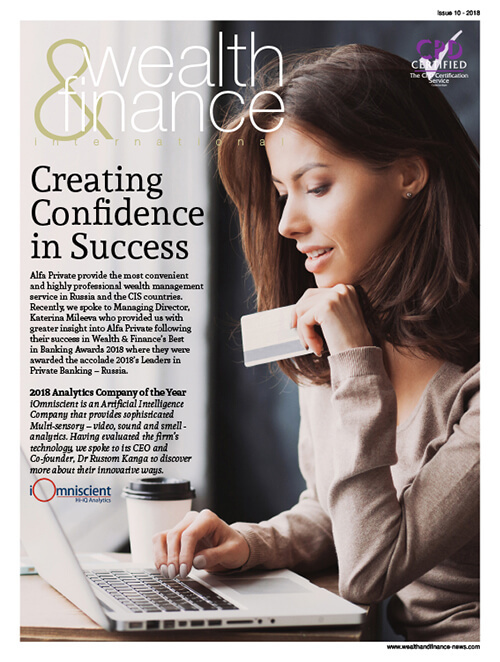 In this issue, we take a closer look at Caye International Bank. The firm provides stability, confidentiality and higher returns for their customers and clients. Recently, we spoke with Caye’s Senior Vice President, Luigi Wewege about the Bank, its services and his aspirations moving forward. Elsewhere in this edition, on the 27th July, Brown Brothers Harriman & Co. (BBH) launched the BBH Income Fund (the Fund). The open end mutual Fund will be co-managed by Andrew Hofer and Neil Hohmann. We discover how BBH Income Fund seeks to provide maximum total return with an emphasis on current income, consistent with the preservation of capital and prudent investment management. Also in this issue, Prophet Equity is a private equity firm that makes control investments in strategically viable, asset-intensive, underperforming companies. We profile the dynamic firm, as we reflect on how over the last nineteen years, Prophet Equity’s Principals have invested in and managed entities with over $6 billion in revenue. The team here at Wealth & Finance Magazine hope you enjoy reading this month’s insightful edition, and we look forward to hearing from you! 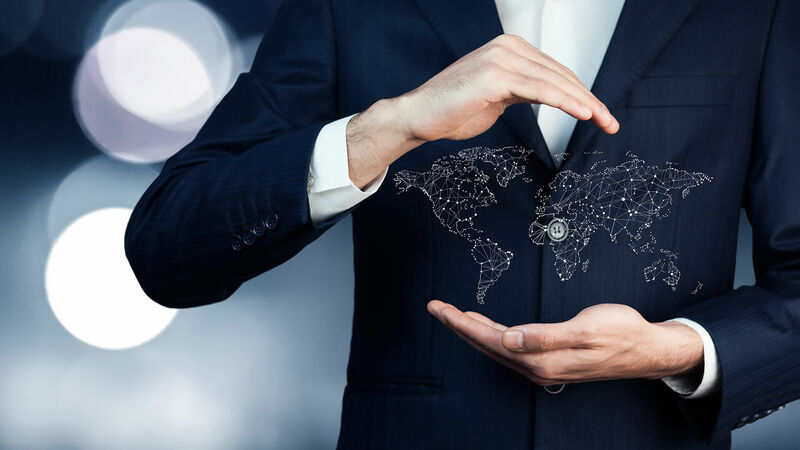 A new wave of global entrepreneurs are setting up their businesses with the aim of making a positive impact on society, according to a new report from HSBC Private Banking. The Essence of Enterprise report found that the younger generation of entrepreneurs are leading this trend, with 24% of entrepreneurs aged under 35 motivated by social impact compared to 11% of those aged over 55. The report, now in its third year, is one of the largest, in-depth studies into the motivations and ambitions of entrepreneurs, researching the views of over 3,700 successful entrepreneurs in eleven countries. The report also found that this new generation of entrepreneurs is embracing angel investing, viewing it as a way to connect and collaborate with their peers. One in five entrepreneurs considers social responsibility, being active in the community, or environmental responsibility as their top priority as a business owner, rather than prioritising areas such as maximising shareholder value or economic prosperity. Those who prioritise social impact have a greater propensity to engage in angel investing, (55% of impact-focused entrepreneurs versus 44% of entrepreneurs who prioritise commercial factors), and report a stronger willingness to rely on mentors for advice and support (75% of impact-focused entrepreneurs versus 66%). The report also suggests a strong relationship between an emphasis on social impact and entrepreneurial ambition. 33% of the entrepreneurs projecting high growth ambitions state that they started their ventures with the intention of creating positive social impact, compared to 28% of those projecting the lowest growth. This suggests social impact should be seen as an integral part of the recipe of entrepreneurial success, and not separate from it. Almost half of respondents (47%) have invested in other private, non-listed businesses, funnelling both capital and expertise back to the entrepreneurial community. However, the research reveals that a new younger generation of entrepreneurs is investing at a much higher rate than their older peers, with 57% of entrepreneurs under 35 undertaking angel investing compared to 29% of entrepreneurs aged over 55. Differences also exist between the generations in how they perceive and approach angel investing. Over half of younger entrepreneurs (57%) view angel investing as a way to connect and collaborate with peers, staying up to date with industry progress and disrupters and to grow their knowledge and expertise. Entrepreneurs of an older generation view angel investing as a way to diversify and grow their investment portfolio, approaching angel investing in a more informal style, through their own network of personal contacts. 43% of those over 55 view friends as the best route to new business, while 44% of those under 35 turn instead to professional advisers to source new investment opportunities. The report also brings to light the differences in the entrepreneurial mind-set in markets around the globe. Entrepreneurs in the Middle East (66%) are the most active angel investors, with the US (54%) and Mainland China (53%) next in line. By contrast, 45% of UK entrepreneurs are angel investors, along with 35% in Germany and 33% in Switzerland. Regional traditions have paved the way for different approaches to angel investing between these markets. In the US, angel investing is highly professionalised; investors source new opportunities through formal channels, such as financial or professional advisors. In comparison, entrepreneurs in the Middle East source new opportunities informally, mainly through friends (Use financial advisors US 51%, Middle East 38%) (Use friends US 45%, Middle East 53%) They also perceive their role to be supportive, cultivating business development and leadership skills. In the US, entrepreneurs view their role as a challenger, optimising the performance of the management team by challenging their thinking and strategy. In Europe, investors are more likely than those in other regions to perceive angel investing as a way to grow and diversify their portfolio, rather than as a way to build their network and share expertise. In relation to social impact, entrepreneurs in the US and China show a greater emphasis on environmental concerns – 8.1/10 prioritise environmental issues in their business planning compared with 6.7/10 in the UK, Singapore, Switzerland and Australia. When asked about their desire to contribute to communities, entrepreneurs from the Saudi Arabia (64%) and UAE (62%) are most likely to reference being active in the community and civil society as important to their business operations compared to the global average of 44%.